If you have shopped for hardwood floors, you have probably debated the pros and cons of pre-finished hardwood floors vs. site finished hardwood floors. It’s a legitimate debate. Both types of hardwood floors have merit so the real question is which solution is better for your site and which meets your personal preferences. With site finished hardwood, the manufacturer’s warranty only covers the work performed by the manufacturer, not by subcontractors. These factors should be considered when choosing between pre-finished hardwood and site finished hardwood floors. However, knowledgeable customer service representatives like our staff at Hardwood Floors Fort Worth recognize the benefits of site finished hardwood floors and stand ready to offer their advice. When considering pre-finished and site finished, be sure to consider the hardwood’s natural “beauty and benefits” and measure how important those elements are to you. Few industry experts would recommend pre-finished over site finished for hardwood kitchen floors. With site finished hardwood floors, these bevels and microbevels are eliminated meaning that neither liquid nor food spills slip between the planks and create odors or damage to the wood. If cleanliness counts, site finished hardwood floors for the kitchen is probably the right choice. It truly is thrilling to see those planks arrive finished and ready to install. You know what you are buying and what the final look will be. This makes it important to work closely with the customer service department at Hardwood Floors Fort Worth. 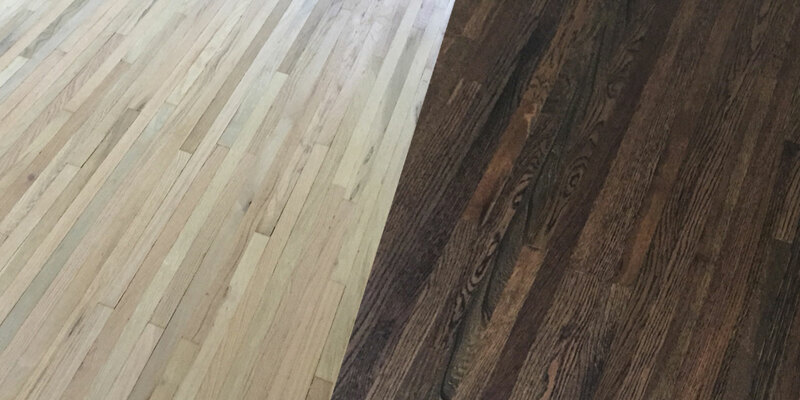 Our reps will take the time to show all the finishes available in the hardwood of your choosing. And, if you choose a site finished hardwood floor, we’ll put you in touch with the best hardwood floor finishers in Fort Worth. We want all our clients to enjoy their hardwood floor for its full life and we offer exert advice about which solution, site finished or pre-finished hardwood, will achieve your goals.